Are you a ‘snacker’? Snacking in and of itself is not a bad thing, in many ways it is better to eat small meals regularly than letting hunger build up only to binge eat as a result. Are the snacks you eat providing energy in a healthy way or are you relying on unhealthy foods laden with sugar for a quick boost? So it’s 4.00pm in the afternoon, you are starting to run out of steam, what sort of food do you look for? Chocolate, cake, and candy are common responses, but whilst these 3 Cs can provide you with an instant fix of energy, they can also result in a fourth C: Crash. Eating snacks high in sugar and composed of simple carbohydrates trigger a spike in our blood sugar since carbohydrates are very quickly turned into glucose (blood sugar) once ingested. This rapid rise in blood sugar alarms the brain, which in turn activates the pancreas to release our fat-storing hormone, insulin. Insulin’s job is to take the extra glucose out of your bloodstream and place it into your cells to restore balance; however, this creates a problem as the pancreas will over-react to a large spike in blood sugar and will often overestimate how much insulin to release. The result is that too much glucose is removed from your blood, leading to the dreaded blood sugar crash where guess what… our sweet cravings kick back in. 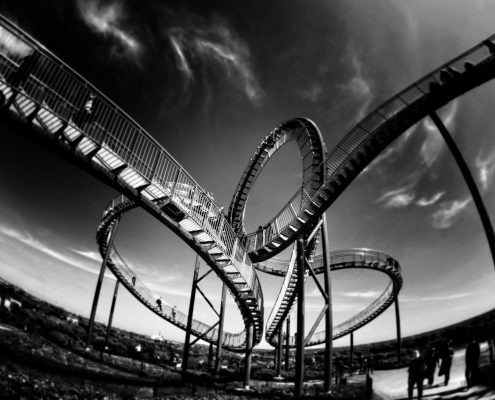 This cycle of blood sugar spikes and crashes is known as the Blood Sugar Rollercoaster. The secret is to plan ahead so that you are not at the mercy of unhealthy snacks at the office when the energy slump hits!